The true fountainhead of Old Testament theology, Exodus illuminates the significance of the name Yahweh and introduces the title I AM. It tells of Israel's formative historical event, the exodus, as well as the making of the covenant at Sinai. It includes the first code of the Law in the Decalogue and Book of the Covenant. It details Israel's besetting sin in the idolatry of the golden calf episode, but it also describes Moses's intercession and the great revelation of God's mercy. In its display of the Tent of Meeting, it presents the theology of the priesthood, the sacrifices, and the central sanctuary. 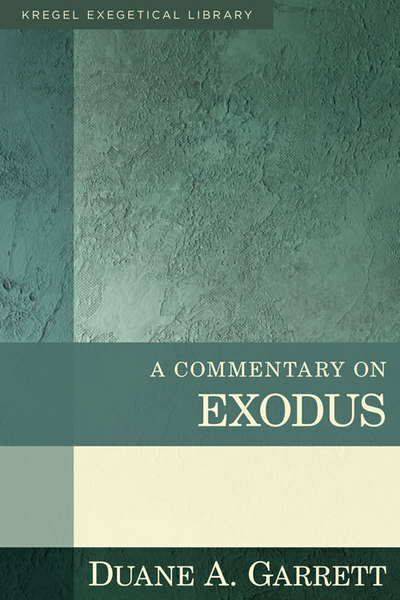 A Commentary on Exodus explores all of these events with a view toward their significance both for the meaning of the Old Testament and for the message of the Christian church. Exegetically deep enough to satisfy the scholar and logically organized to meet the needs of the pastor, Garrett's commentary promises to become standard reference material in Exodus studies. Every verse is given a fresh translation with copious explanatory notes, and particular attention is given to the poetry of Exodus, which the author demonstrates to be more abundant than previously believed. The commentary also helps to dispel much confusion about Exodus by introducing the reader to Egyptian history and by carefully analyzing questions about the date of the exodus and the location of Mount Sinai. Duane A. Garret (PhD, Trinity Evangelical Divinity School) is professor of Old Testament at The Southern Baptist Theological Seminary. He has previously taught at Gordon-Conwell Theological Seminary and Bethel Sminary and served as pastor and missionary in a variety of contexts. Garret has also written A Modern Grammar for Biblical Hebrew, Authority and Interpretation, and Ecclesiastes and Song of Songs for the Zondervan Illustrated Biblical Backgrounds Commentary (vol. 5).